Unlike track events, the sport of Cross Country (XC), athletes compete in races over various types of terrain. Usually 3.1 miles (5 km), courses often include sections of dirt, grass, gravel, and pavement. Runners trudge up hills, dodge roots, and race around corners. 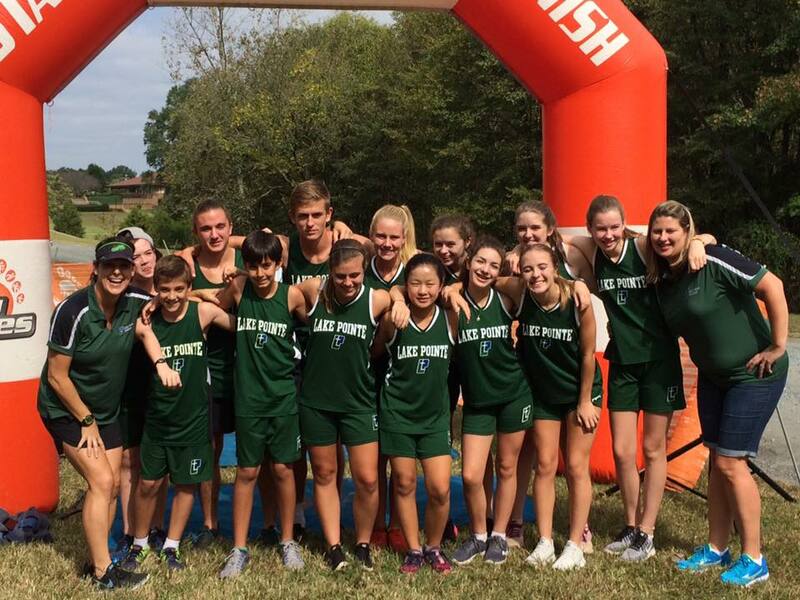 Lake Pointe's XC teams have fared very well in local and state competition since their inception. For information on history and accomplishments, see the individual team pages. The men's and women's teams train together, but compete in gender-specific races. The teams compete against area private and public schools, many of which are much larger. Coaches say, "swimming as a smaller fish in a big pond" makes our runners stretch to perform their best." Student athletes in grades 6th-12th form the Mariners' XC squad. Sometimes, the middle school students compete in their own, shorter, middle school or junior high races, but usually they join their older teammates to compete head-to-head in high school races, since the event is non-contact. LPA competes in the SCACS 2-A league and state tournament. Head coach for both gender teams is Melody Benigni. Assistance Coache is Stephanie Cutshall. LPA's varsity Cross Country program began in spring 2011. A Mariner held the state individual girls'' title for five straight years -- 2011 to 2015.